LAKELAND, Fla. – The Florida Polytechnic University Board of Trustees has appointed transportation executive Frank T. Martin as its new Board Chairman. Attorney Don Wilson has been appointed Vice Chairman. Both appointments are for two-year terms that run until 2018. Frank T. Martin has served as the Board Vice Chairman for the past two years. Martin has more than three decades of executive management experience in both the public and private sectors. In the public sector he served as COO and CEO of several of the nation’s largest transit systems. In the private sector he served in executive management for two global transportation and architecture and engineering firms headquartered in London. Martin is the President of Frank T. Martin Consult, LLC, a strategic business development and management consultancy. He will replace Board of Trustees Chairman R. Mark Bostick, who did not seek re-appointment. “I’m honored and humbled to assume the position of Board Chair for the next two years and to be part of such a talented and dedicated Board working to continue to set the framework for a STEM-focused university to educate and train the next generation of leaders,” said Martin. Don Wilson, a Polk County native, has served on the Florida Polytechnic University Board since 2012. He is currently the General Counsel for Polk State College. He has also served more than 30 years as a board member for the Bartow Chamber of Commerce. 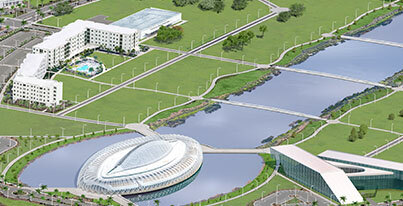 The Florida Polytechnic University Board of Trustees was established in 2012 to govern and set policy for the University. Six members are appointed by the Florida Governor, and five members are appointed by the State University System of Florida Board of Governors – all of whom must be confirmed by the Florida Senate. Two members serve by virtue of their offices: the chair of the faculty senate, or equivalent, and the president of the Florida Polytechnic University Student Government Association. Mark Bostick served as Board Chair during very historic times at Florida Poly. During his chairmanship, Florida Poly officially opened, the university attracted more than 20 new faculty members in 2015, the student population has nearly doubled year over year since its opening in August 2014 and the construction of a second on-campus residence hall for students is nearly complete. The appointments of Martin and Wilson as Chair and Vice Chair take effect July 31, 2016. For more information, visit Florida Poly’s Board of Trustees page: www.floridapoly.edu/board-of-trustees.